This sewing machine is ideal for embellishing practically anything from fashion clothing to draperies and other home decor items. It is also ideal for making unique quilt designs. As a wonderful and modern sewing machine, Brother XR9500PRW can facilitate creation of various designs using any of its 100 customized and built-in decorative stitches. Thus, any quilt would be given a more fashionable and newer look. Fabric stitching and designing has just become simpler and more convenient, thanks to this machine. 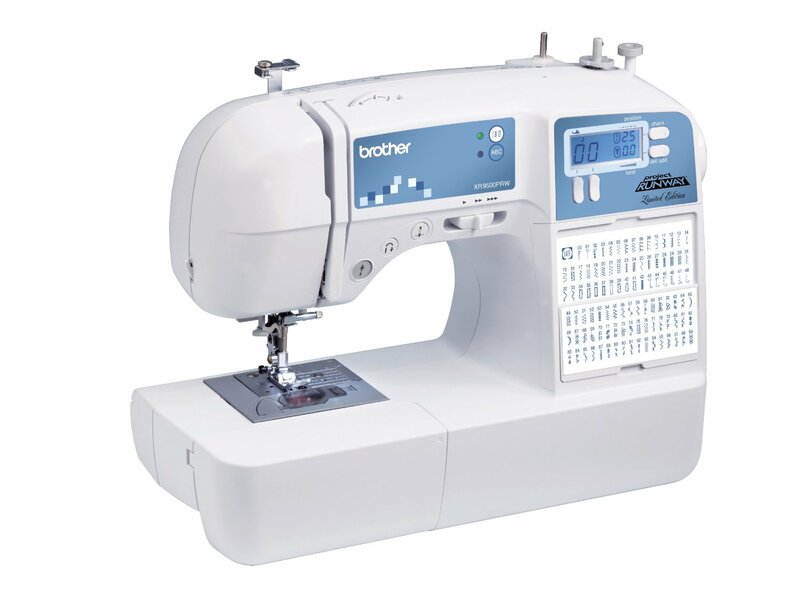 Brother XR9500PRW Limited Edition Project Runway Sewing Machine is optimal for managing simple and even complicated projects. It is easier to use despite the inclusion of numerous and impressive features, which most users rave about. In many reviews, users praise it for being easier set up and use. There is an instruction DVD provided along with each unit to give an instant and comprehensive tutorial about how to effectively use it. The manual is at the same time well-written for easier comprehension. As a portable sewing machine, it can perform stitching jobs on large and even small quilts. The entire unit is lightweight, weighing just about 9.92 lbs. Thus, a user can conveniently carry it around when going to a fashion class or doing work elsewhere. The machine comes with an oversized table to give its users more workspace especially when quilting. There is a free arm as well. The sewing area is lighted with LED for better viewing and for stitching darker fabric. There is an allotted accessory storage to make sure all items will be handy when needed. Aside from 100 unique stitches, the machine boasts of 140 more stitch functions. There is an easier bobbin winding system for enhanced productivity along with an easier to use needle threading system. Drop-in top bobbin is jam resistant. Full assortment of useful accessories is assured. Hard cover is provided. Who should buy Brother XR9500PRW? The machine is best not just for experienced sewers but also for beginners. It has numerous impressive features, which can give other modern sewing machines a run for their money. However, this one is less expensive and is easier to set up and operate, making it ideal for just about anyone who is into fashion designing. Brother XR9500PRW is without a doubt an ideal investment when it comes to practicality and economy. The machine is easier to operate and can be maintained without hassle at the same time. Most of all, just like other sewing machine models from Brother, this one is reasonably priced. It can facilitate creative designs to satisfy users’ artistic taste at reasonable costs.